I admit, I’m thinkin’ Spring these days. After the last 2 nasty winters I think we’re due for this mild one we’ve been having. Can I hear an “Amen”? That means that your wedding may be just around the corner. 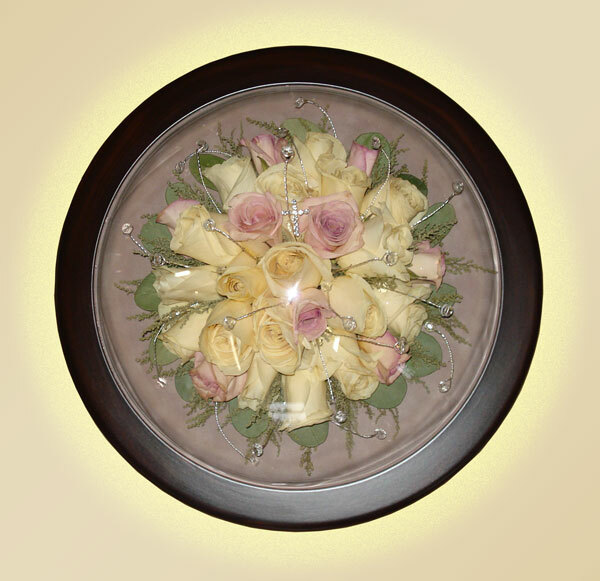 Don’t forget about preserving your bouquet. You certainly will be spending enough money on it! Even if you only save one or two flowers it will be worth it. I’m sentimental. I’ll never push you into spending your arms and legs with me. I just like to see the bride have something even if it’s a small item. You won’t regret it! It would be an amazing fete for me to actually keep up with my blogging this year. 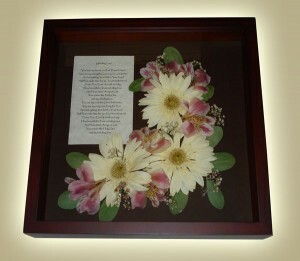 At the very least, to post pictures so that you can see the beauty of flowers after they have been dried. I have no excuses………..just laziness when it comes to organizing my thoughts. And here it is, January 17, another fantastic winter day. The glory of the warmth we are enjoying this year should be enough to inspire me to carry on with my work in pure joy!!! This, then, will be the plan. May you have a great day today filled with motivating grand things to do! Let’s enjoy 2012 together! Yeah………well it certainly is passing me by. Since I last updated my blog the entire summer has come and gone. Now I’m looking at lush grass which will, not too long from now, be covered in snow. Ok……..enough of that. Here’s hoping you have had a wonderful summer. Just wanted to let you know that Anne Bruening Originals is alive and well and busy preserving some of the most beautiful flowers (because that’s what you all bring to me). What a great way to pass my time. Remember……..if you have any questions……..I’m always glad to help. Here’s to a wonderful Fall. 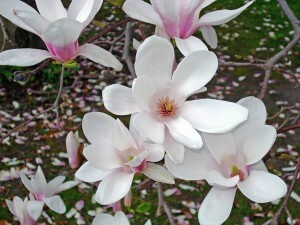 My Magnolia….can’t wait for this to become real again! Just thought I’d put up something “Springy” to make me feel good. I’m cold……..and a bit sick of winter. This picture takes out the sting….if just for a moment. I hope you’re all staying warm wherever you are! It’s all about the preservation! How great to save the flowers from the BEST day of your life!